Jeanette Travis Foundation event at Belmont University in Nashville, Tennessee, October 25, 2018. The Office of Development recently hosted a celebration to mark the completion of a $2.5 million pledge to the Leon and Jeanette Travis Scholarship Endowment for Nursing. Since 2004, the Foundation has donated $3,550,000 to the fund, which has provided scholarships for 177 nursing students to date including traditional students and many second-degree accelerated students. 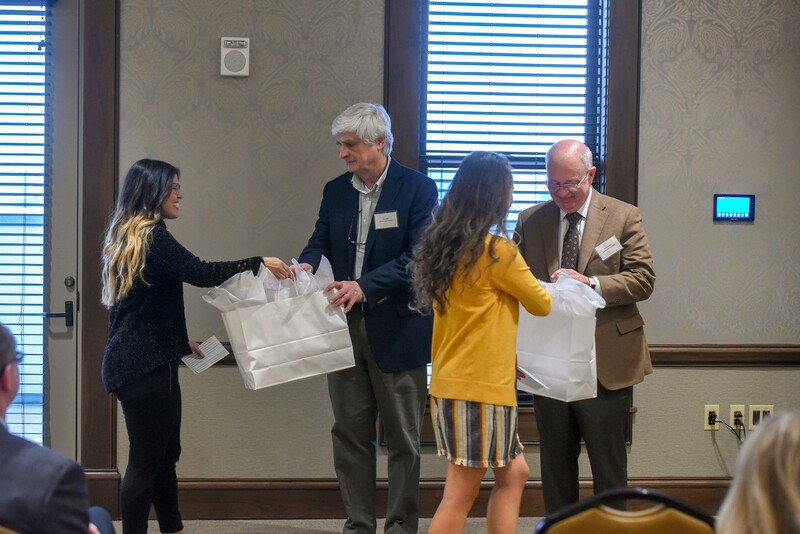 Pictured above are Jeanette Travis Foundation trustees Richard Warren and Tom Baker who were in attendance for the event along with two Travis Scholarship recipients, Christy Chicas and Hannah Abbunag, who spoke at the event.